Good-Byes are never easy...but these travel tips will help. We will do our best to make the end of your journey as enjoyable as the beginning. On the last day of your voyage, you will be given detailed instructions regarding customs and debarkation procedures. 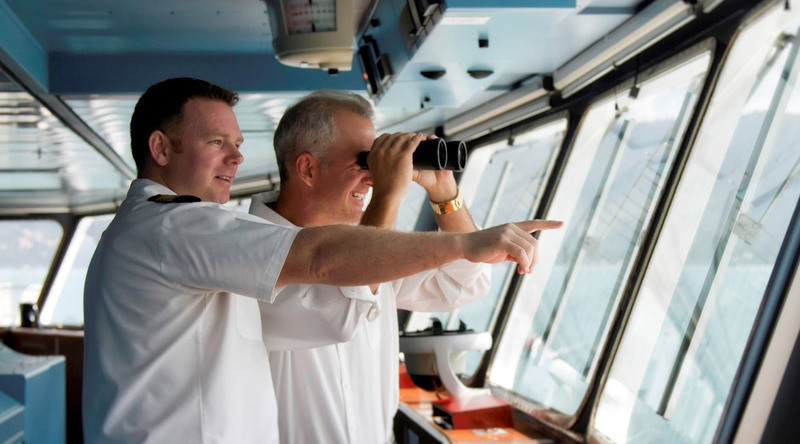 On the final day of your voyage, your cruise director will give detailed instructions on how to clear customs. We highly recommend you attend this important talk. For the latest information on duty-free purchases, view the Know Before You Go: Regulations for International Travel by U.S. Residents provided by U.S. Customs and Border Protection. Guests are disembarked by number codes according to flight departure times. Bags will be collected from outside your stateroom on the last night onboard. Make sure bags are properly tagged. All guests will have to debark by 9:00 AM at the latest. Do you need assistance on departure due to a disability? We’re more than happy to help guests with disabilities get off our ships with ease and get you on your way home. Staff will have wheelchairs available to provide assistance getting off the ship using gangways and boarding bridges. Please see Getting On and Off the Ship for additional information. If you need further assistance, please contact our Access Department at 866-592-7225. Learn more about our accessibility services here.